The BMC is throwing its full support behind UK Anti-Doping’s second Clean Sport Week, which launches next Monday (21 May). 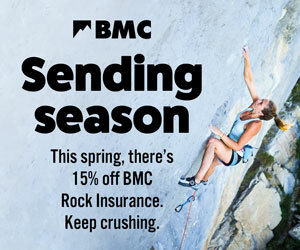 The BMC believes in clean competition climbing and work in partnership with UK Anti-Doping (UKAD) and our International Federation to ensure that the integrity of our sport is protected. If you are a member of the BMC then the anti-doping rules apply to you, regardless of what level you participate at. There are many organisations that work hard to protect sport. The World Anti-Doping Agency (WADA) is responsible for leading the collaborative world-wide campaign for clean sport. Established in 1999 as an independent agency and funded by both sport and governments, it manages the development of the World Anti-Doping Code. The Code aims to harmonise all anti-doping policies, ensuring that athletes and athlete support personnel are treated fairly and consistently. The BMC works in partnership with UK Anti-Doping (UKAD) to prevent doping. UKAD is the national anti-doping agency for the UK, dedicated to protecting a culture of clean sport – it achieves this through implementing education and testing programmes, gathering and developing intelligence, and prosecuting those found to have committed an Anti-Doping Rule Violations. All athletes need to be aware of the principle of strict liability. This means that all athletes are solely responsible for any banned substance they use, attempt to use, or that is found in their system, regardless of how it got there and whether or not they had an intention to cheat. It is crucial that athletes check all medications are safe to take prior to use. Athletes must undertake thorough internet research of any supplement products before use – including the name of the product and the ingredients/substances listed. Information discovered as a result should be further investigated and we advise athletes to keep evidence of their search. Under the 2015 Code, a minimum four-year ban from sport will apply to those who are found to be deliberately cheating and breaking the rules. The 2015 Code has little sympathy for carelessness – for inadvertent doping, athletes are more likely to face a two-year ban from sport. All banned substances and methods in Code-compliant sports are outlined in the Prohibited List, which is updated at the beginning of every calendar year, but may also be updated throughout the year. Athletes are strongly advised to be very cautious if they choose to take any supplement such as vitamin tablets, energy drinks or sport-nutrition formulas. This is because there is no guarantee that any supplement is free from banned substances. Visit the UKAD website for further information including the Informed Sport programme, which provides a batch-testing service for supplement products. Athletes listed under the ‘National’ category for their sport must apply for their TUE in advance. The ‘National’ category for TUEs is defined by UKAD by sport and can be found on UKAD’s website. Only in an emergency situation or where there will be a severe impact on health should treatment begin without the necessary approval. Athletes not listed in the ‘National’ category would only need to apply for a TUE retroactively should they be tested and their sample return an Adverse Analytical Finding (AAF). For essential anti-doping information download the Clean Sport App from iTunes, Google Play or Windows Live Store – the sport specific or the generic version. Good article!! Have you found many coaches doing the UKAD course to become a UKAD accredited anti-doping advisor? Might be worth mentioning in this article as it's a free course for coaches, a pretty good CPD certificate to work towards.